China is playing an increasing strategic role for Clariant. Christian Kohlpaintner, Member of the Executive Committee, has been based in Shanghai, China, since 2016, and provides an update on the progress made to drive opportunities for further value creation in the region. Mr. Kohlpaintner, it is now almost two years since you relocated to China. What is your impression of the business conditions in the region? Christian Kohlpaintner China continues to change at a rapid pace, largely driven by its government’s policies. In general we see the industry upgrading to higher value and more technology-driven solutions. Environmentally-compatible chemical solutions are a high priority, as regulation is becoming stricter. This provides opportunities for companies like Clariant with high global standards and innovative solutions, especially those that help address environmental concerns such as pollution. But it is clear that, if we want to be successful in China, our business must adapt to the Chinese business mindset. What role does China play in Clariant’s growth strategy? China is fundamental to our growth strategy. We said some years back that the center of gravity is shifting eastwards and Clariant has to be better positioned to seize the opportunities. Achieving our ambition level called for bold changes. This was why, at the beginning of 2017, we began to reshape our business with a new regional governance model. Our Business Units adapted their regional organizations accordingly and we focused especially on recruiting local talents. The new positions were filled with Chinese top managers. They have profit and loss responsibilities for their regional Business Lines, being members of the global management committees of their Business Units and also being members of the Global Management Team of Clariant Group. The result is greatly improved strategic dialog and alignment. And we will establish the role of a China president, also a Chinese native, who will be accountable along with the Business Units for our financial success in China. Our strategy is based on a solid strategic framework that sets out our vision to become a China insider. in China rose to 13 %. How are these strategic and organizational measures impacting the business in the region? 2017 was a successful year for Clariant in China, with 13% sales growth and an increase in profitability. 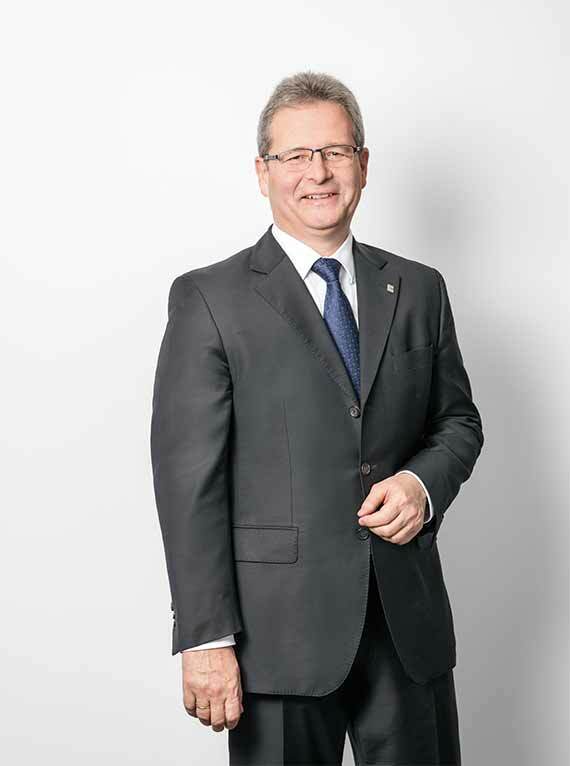 Compared to five years ago, Clariant has significantly improved its standing in the chemical community in the region and has built a reputation as a company that successfully embraces sustainability. We expanded capacities for the Business Units Additives and Masterbatches and invested in new facilities, which will enable us to meet growing local demand and improve proximity to customers and also raw material suppliers. Besides this, the company took further steps to expand its business with activities such as the partnerships with Sinopec announced by Business Unit Catalysts as well as a production joint venture from Business Unit Additives. These ties are helping us to gain valuable market insights and exchange best practice. Clariant is also proactively taking on a leadership role in driving innovation and sustainability in the industry. We created the China Clean Tech Award for young scientists and intensified our engagement with the China Petroleum & Chemical Industry Federation (CPCIF).Here we initiated and led a sustainability working group with other multinational companies at their annual conference in Shanghai. At the event, Clariant also signed a memorandum of understanding to jointly explore new areas of cooperation and promote innovation and sustainability within the petroleum and chemical industry in China. The company has significantly strengthened its governmental relations, especially at local levels where we are operating our sites. This is enabling both further investment and value creation. 2017 also saw Clariant achieve recognition externally in the fields of innovation, sustainability, and corporate social responsibility. This is very encouraging. What will be the priorities for 2018 and beyond? 2018 is about building on what we achieved in 2017, deepening and developing relationships, and evaluating further investment opportunities. With our China governance model in place and sustainability and innovation at the center of the business strategy, the company is well positioned to capture new growth opportunities. In 2018, we will launch our first AliBaba flagship store to increase our market penetration. Other key initiatives and events such as the biennial »Defining the Future« conference of Business Unit Catalysts will help to drive innovation endeavors in the industry. The Shanghai-based One Clariant Campus is set to open in 2020 and will include an innovation center, allowing us to develop products in China for China, and also other markets. We are convinced that with our all-encompassing growth initiative we are able to double our sales from the 2015 baseline until 2021.